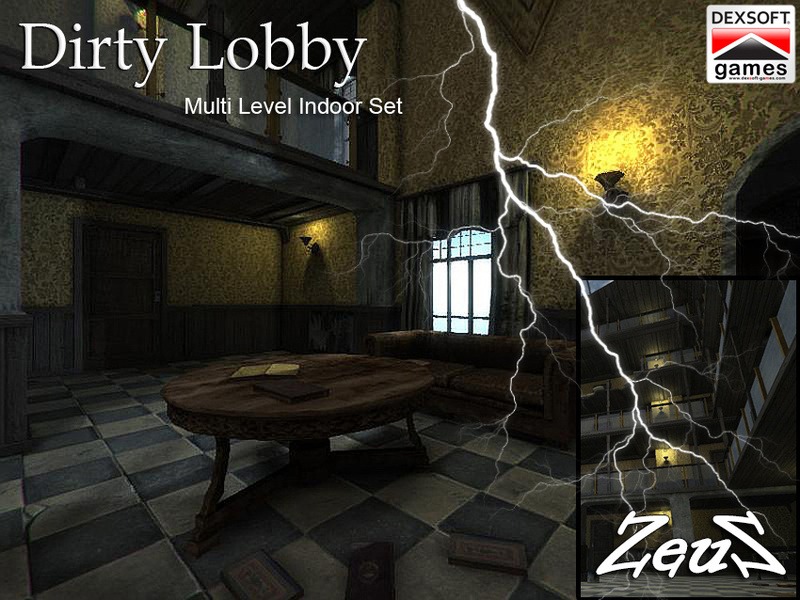 This is truly a great pack to create some dark stories and quite versatile allowing you to use the parts relevant to your scene. Description: This is an extensive set of an indoor and somewhat delapitated lobby of a building. Perfect for a spooky or eerie setting, perhaps damaged by some sort of explosion or warfare....there is enough to this set to isolate the parts relevant to your scene. Many of the props have been saved so that you can add them one by one to blend into position for you. Included separately, but dropping into your scene assembled are: Main Floor and 2nd Floor lobby, 3rd Floor, 4th Floor, Top Floor, 3 part staircase, Glass panes for three floors, Front Door. These props can be added to the stage one after the other and they will fall into proper place. Alternatively, you can add just the parts you want to work with. In addition, there are several props you can use to decorate your scene as desired such as, beat up chair, sofa, bookcase, bookcase drawer, boards, bucket, tables, books open and shut, plus piles of books, tapestry, pile of debris, lamp, fountain and door for rooms. Door can be place on room entrances and then animated to open. Drawer for bookcase can be replicated if several drawers desired. Use keyframing to animate the drawer opening. Superb! You are the best, Zeus!